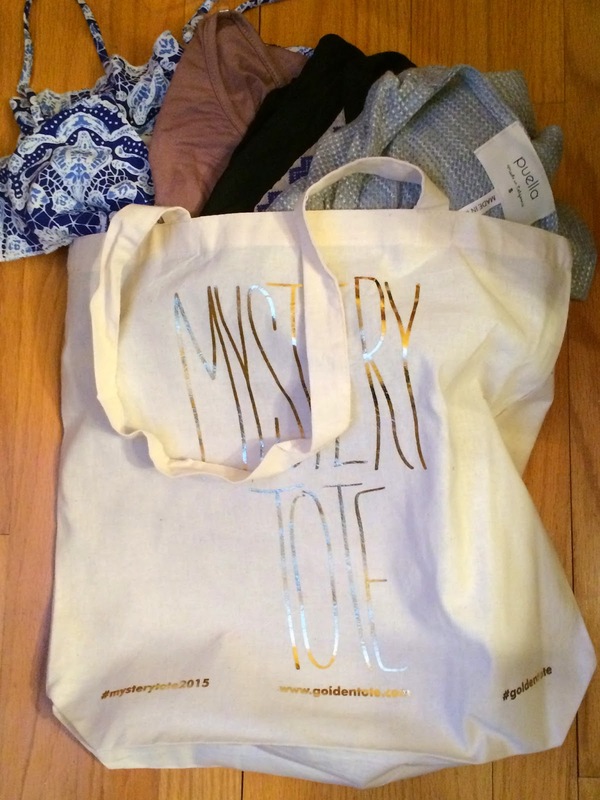 I received my Golden Tote January Mystery Tote last week. I couldn't wait to see what goodies from the past year I would receive. The Mystery Tote launched in January and is available until it sells out (currently only size x-small and small are available). It contains one chosen item from the past year, 2 surprise items from the past year, and one new Puella item designed for the Mystery Tote. I knew I didn't want to miss out on the Puella item, so I ordered as soon as the sale went live. Golden Tote pre-packaged the totes, so there was no guarantee you wouldn't get duplicate items you had received in previous totes. They also would not be looking at comments or profiles for this sale. But for $15/item I felt it was well worth the price. Plus some lucky Goldies may be receiving Golden Tickets, including facetime sessions to have a stylist help curate your next tote! Golden Tote designed a special tote for this sale. And here is a peek as to what was inside. Please note each tote for this sale was completely different, so you are not guaranteed to receive the same items as others. But the surprise factor is the most fun! The first item in my tote was the Puella swing shirt in grey. 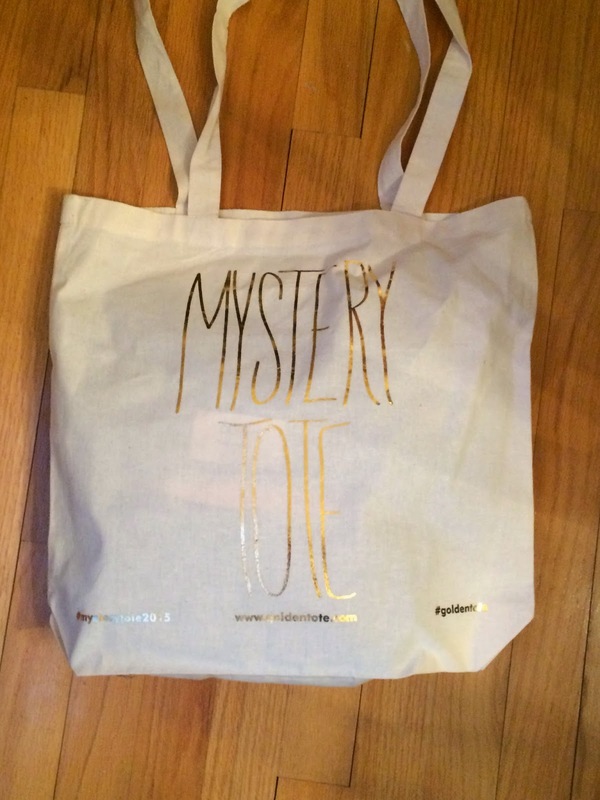 Everyone received some variation of this shirt, but there were multiple colors made for the Mystery Tote. This is a waffle knit shirt and is very comfy and casual. It fits so adorable! I love Puella and their swing style items. They are staples in my wardrobe that I wear very often. I was so excited for this shirt. It looks great with skinny jeans and boots! Sorry I didn't take pictures of me wearing the clothes for this review. My house is a great big mess because we are in the process of remodeling, and it's been below zero for a couple weeks, so outside pictures are not an option. If I end up getting pictures of me wearing the items, I'll add them. 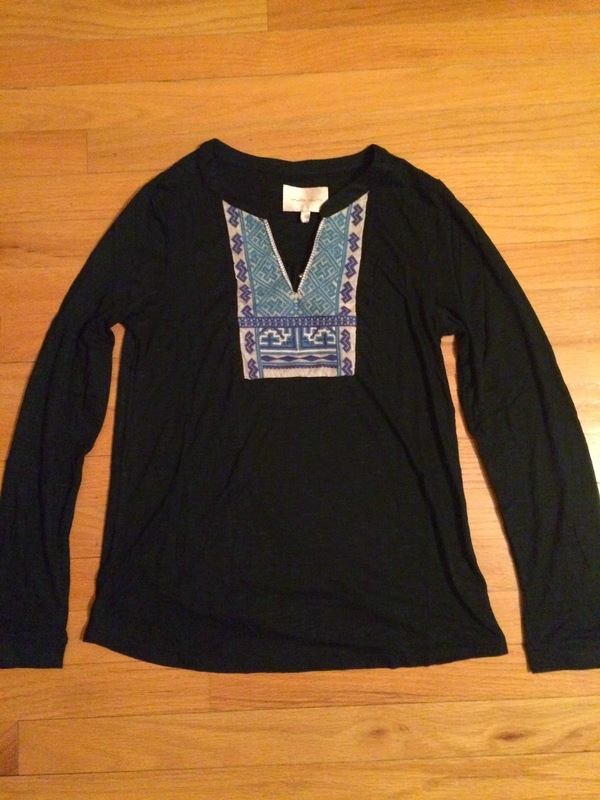 The next item I received was an Under Skies embroidered long sleeve shirt. This was an item I received in a previous tote and love and still wear. It's really comfy! Definitely not something I would choose for myself, but loved it when I tried it on and wear it quite a bit. Because I already own this shirt, I decided to trade it on the Facebook Golden Tote Trading Group. I ended up trading it for another Puella swing shirt in a different color, which I love! That's another great thing about Golden Tote. I have never had any problem trading the items that don't work for me from my totes. The next item I received was my favorite item in my tote! 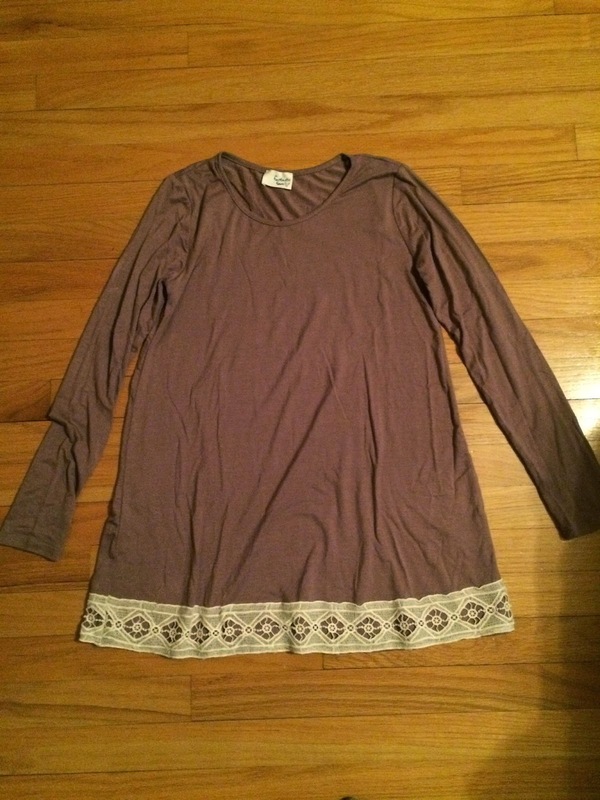 It was a Fantastic Fawn tunic with crochet detail. I wanted to buy one of these when Golden Tote offered them, but didn't. I was so excited this was in my tote! And it fits really well. Again, it's very comfy. It's just swingy enough, but still fitted in the arms and bust. 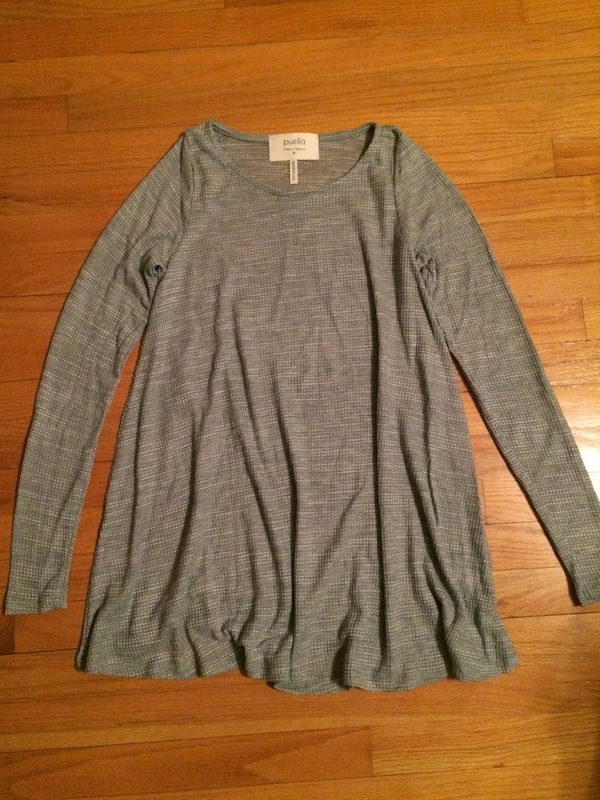 This looks great with leggings or skinny jeans. Plus I love the color! The final item I received was a Cut + Sew dress. It was a very summery dress and like I said above it's been very cold lately, so I just wasn't into this dress. I liked the fabric and it fit well, but I just wasn't sure I'd be able to wear it enough. So, I put this up for trade, with the intention that if I couldn't trade it for something I liked better I would keep it. 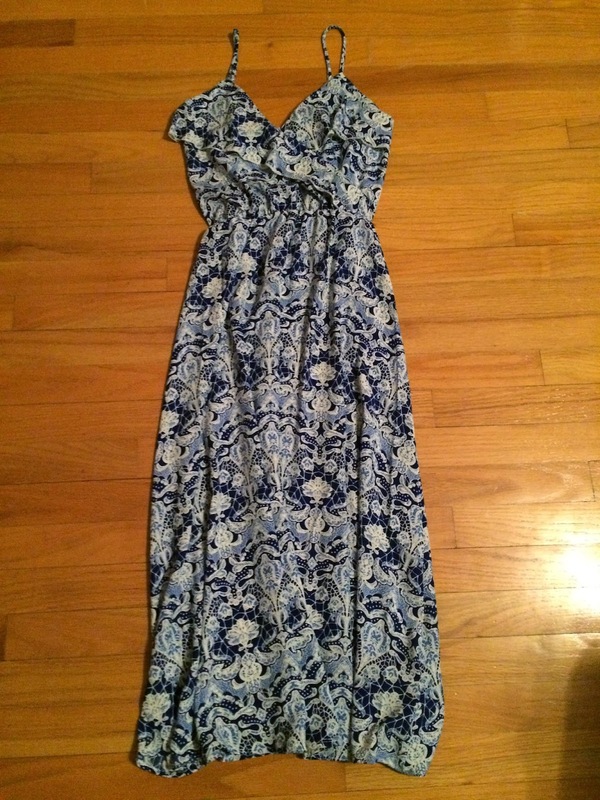 And I ended up trading it for a Puella swing dress in navy, which I'm really excited about. I actually already had the navy Puella swing, but got a grease stain on it that didn't come out, and needed to replace it. So it worked out for me! I was very happy with my Golden Tote Mystery Tote. I was nervous I would get items I wouldn't wear at all, like dolman sleeves, kimonos, or rompers, but I didn't. It really makes me want to order another tote, but I'm nervous my luck might not be so good with the next, so I'm hoping they sell out soon so my temptation goes away. Plus have you seen the spoilers for the February sale yet?!? They're listed on the Golden Tote Facebook site and their Instagram site. I love so many of them, so I may just have to save up for that instead.